It’s Friday friends! I hope you’ve had a great week and have something fun planned for the weekend. I don’t have anything as exciting planned like last week’s photo shoot, but I do have some plans to get my eating and exploring on. For a couple months leading up to the photo shoot, I would only work out around three times a week. When prepping for the shoot, I upped it to about five and so far I’ve found myself sticking to that even though the event has passed. It may drop down again, but I’m really loving getting a high-intensity workout in early in the morning and going on with my day. I’ve even found that days when I “sleep in” until 7:30 am leave me feeling more tired than those days when I wake up at 4 or 5. Seriously though, what kind of crazy person am I to coach a 5:15 am class?? Anyway, I’ll recap more food and fitness next week when I go through my preparation for the photo shoot, but for now I want to share with you some of my favorite things from this week! I was recently given the opportunity to try out Rocksbox, a monthly jewelry subscription service. If you are familiar with services such as Stichfix, this is the same thing but for jewelry. 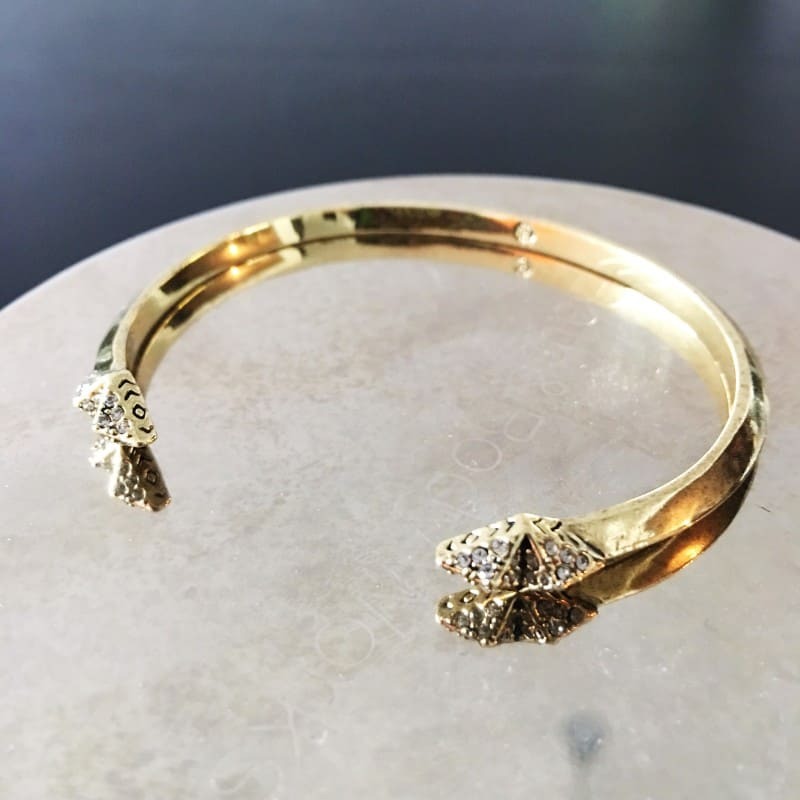 You set up an account, answer a few questions online so that your stylist has a feel for what kind of jewelry you want/wear, then pick out several items that you find appealing. Each month they send you three items on loan and you are given the opportunity to purchase them or send them back if it’s not something you would wear. The items arrive in a box with a prepaid shipping label so all you have to do is pop them back in the mail when you’ve made your decision. As soon as you decide to purchase or send them back, they will send you another three items! Even though 98% of my day is spent in active wear, there is that 2% when I feel like getting fancy and dressing like a lady, so I thought I’d give it a shot. The monthly cost is only $19, and if you’re interested in trying it out for yourself, simply use the code erinsinsidejobxoxo to get your first month free! When I went on my candle buying spree around the holidays, I ran into a scent I hadn’t seen before. 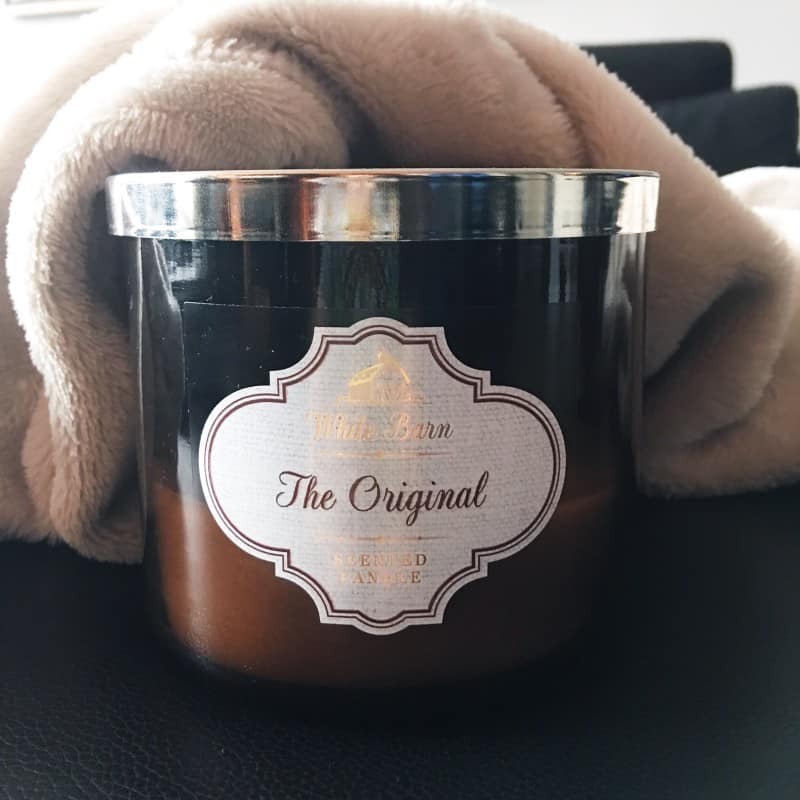 The Original is described as a classic blend of vetiver, black pepper, and a hint of pinewood. It is GLORIOUS. I have a lot of scents that remind me of men’s cologne which is great, but sometimes the smell can be a little overpowering in a small space as I’ve mentioned before. This candle has a hint of that, but is more subtle and almost citrus-like. I hope they have more when I go again because this is the first time in all of my Bath and Body Works years that I’ve seen this one. 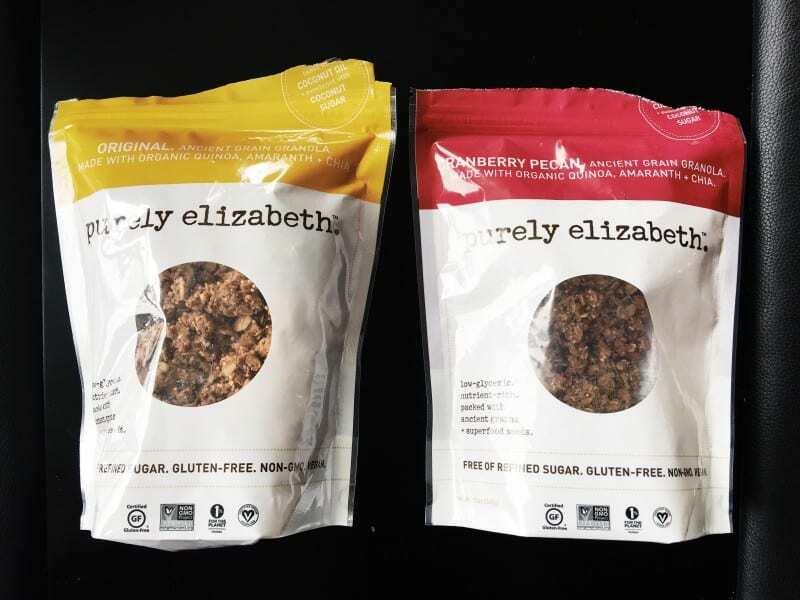 I know I’ve talked about Purely Elizabeth granola MANY times on this blog, but I had taken a break from it as of late. It is hands down my favorite granola and I’m so glad I discovered it a couple years ago. I loved it so much when I first bought it that I even emailed the company and wanted to get involved with them somehow. Now that I’m on a smoothie bowl binge, I stocked up so that I can add that bit of crunch to the bowls. I also love to eat it with a spoon. The original and the pumpkin flavors are my favorite, but cranberry pecan comes in third. Really any of them makes me strangely excited and happy. After last week’s obsession with Poshmark, I have discovered a similar app but without the seller fees of Poshmark. While reading through the comments on some items, I kept seeing people offer to sell their items at a lower price through Mercari. When I checked it out, I found out that they don’t take out the seller fees like Poshmark does, so often the prices for the same items are lower. If you do sign up, you can use the code RDTFCD to get $2 off. It’s not much, but it’s something! I ended up buying a 4-pack of Lululemon tanks for $80 (whaaaa) and a pair of capris for $40, which is just nonsense. I HAD TO GET THEM. I did get around to putting a few items up on Poshmark, so if you want to check out anything from my closet, you can visit here. I plan to get more things up and maybe even list them on Mercari too, but that’s when I find an extra couple hours in my day. Also, if you sign up for Poshmark using the code JZLYR, you will get $10 when you download the app. (I will also get $10 when you make your first purchase in full transparency). Man, so many codes in today’s post. As you may remember, Neil and I plowed through the first three seasons of American Horror Story and skipped the fourth. The fifth, Hotel, just wrapped and we sat down to watch them all in a period of a couple days. I wasn’t sure what to expect now that Lady Gaga had taken on a leading role in the series, but I loved this season as well. I can’t wait to see what theme they pick for the next one. Just a note: If you’re not into violence and blood, this one may not be for you. There was definitely more in this season than the previous ones. Don’t forget that there are two AWESOME giveaways going on right now. If you haven’t entered, make sure to follow the links and get your entries in! What’s a show you are loving right now? What’s your favorite type of jewelry: earrings, necklace, or bracelet? YEAH! AMS Hotel was pretty wicked, and I just realized that I haven’t watched the final episodes. EEP! That sounds like a magical weekend. 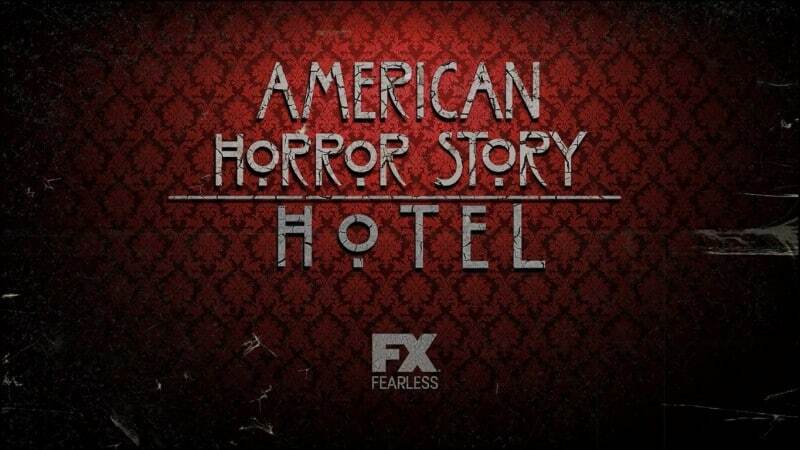 Make sure to finish up AHS! Great list. I’m going to try out that candle. I love the sandlewood one I burn it non-stop! That’s another one I have to add to my list. So many candles! Candles are hard in my apartment ever since Zoe SET HER TAIL ON FIRE AND DIDN”T KNOW a few months after we got her. Yeah that would make it a little difficult then. WHAT?!?! I can’t even believe that!!!! Oh, Zoe. I think different people’s preferences in candles is so interesting – I cannot do that patchouli/men’s cologne smells and am allll about fruity or citrus-y ones. But other people smell, say, a mango candle and hate it! So weird. I have never had Elizabeth Granola. I may need to change that! And I just want to give you a big hug for sharing that app. I’m in need of some new workout threads. This is awesome! You need to get some STAT. it’s the best ever. And you’re welcome…I hope you find some good deals! You’ll definitely have to let me know what you think about Rocksbox. I have considered trying it because my jewelry game is pretty sad, but I’ve never been sure whether the subscription is worth it! I just can’t do the jewlery subscription box thing- I want to be able to pick out what I want. I am addicted to Charming Charlie. However, that bracelet is GORGEOUS!!! Charming Charlie is usually my go-to when I need to find the perfect piece BC I know they have EVERYTHING. it’s been a lifesaver many times. I need to find something like Poshmark for Canada. I have a LOT of lulu that I just don’t wear and being able to sell it would be awesome! Or you could just send it all to me. I started the second season of the following and then never finished it! Ahhh! I’m obsessed with Poshmark and need to check out Mercari. I’ve gotten so many great deals on things! It’s becoming a serious problem for me. Rocksbox? Yes! Sold! This is the perfect gift for my friend who was just saying she’s not good at choosing accessories. Thanks for sharing. Excellent! Make sure to use that code to get a free month. I hope she likes it! Interesting about the candle. I’ll have to check it out because I like the men’s cologne smells too. My favourite is mahogany teakwood. That’s such a unique bracelet! I’ve heard of Rocksbox once or twice recently and it sounds like a fun service! So far so good! That was definitely my favorite piece from the shipment. Earrings for me!! I like necklaces too but tend to stick to this Dogeared necklace I have. I loved the one my sister got me when I got married but then I wore it so much it broke!